Feeling resistance? Trying to change an old way of seeing things and doing things? Want help to create new habits and patterns for your life? 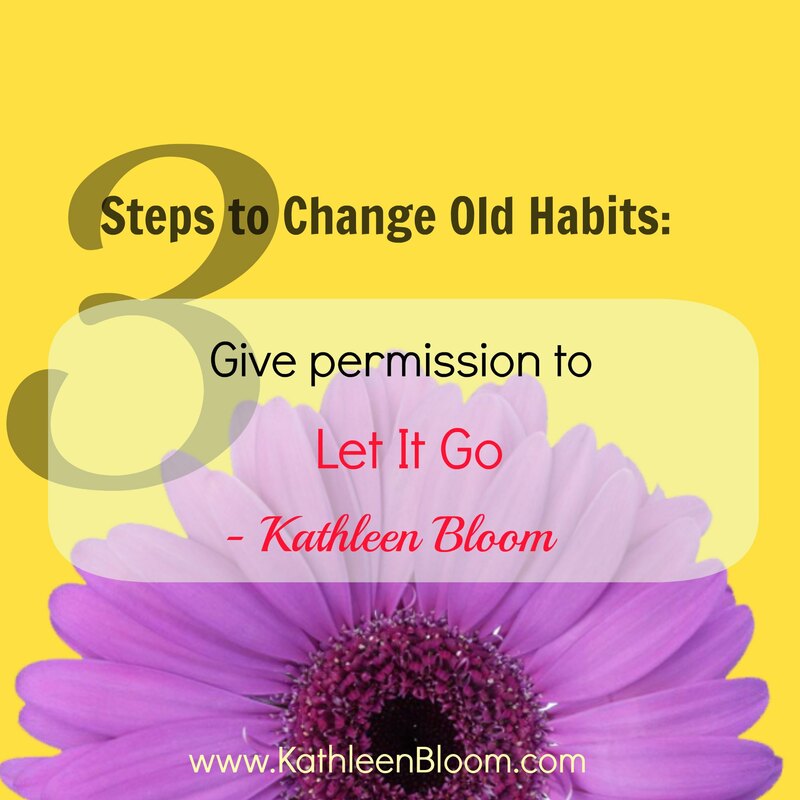 Here is the three step process for releasing old patterns and habits. This step is what I call the “hello” moment. When you first realize that you have an old pattern of thinking that is getting in the way of moving forward, and there is a tendency to want to change it immediately. But this quick rush to “make things better” doesn’t acknowledge the complexities and value of your old patterns. With this first step, acknowledge your pattern, just say hello to it. This is a time to be free of judgment for yourself about why you keep repeating a certain undesirable habit or way of thinking. Just notice it and acknowledge it. This is the deep opposite of judgement for why you behave in a certain way or habitually think old thoughts that no longer work for you. This is the deep opposite if beating yourself up over old ways of doing things and thinking and patterns and habits. Rather than get down on yourself, this is a profound and unique opportunity to validate yourself. Recognize that the choices you made come from a place of taking good care of yourself, protecting your space or maybe it was the only way you knew how to do something. Let me give you an example. Let’s say you grew up in a household with parents who were afraid of change. Every time something new happened in the neighborhood or community, your parents would get angry with anyone else in the family that supported the change or made any changes themselves. Wow! Can you imagine how hard it would be to be to make change in your life if this was the case for you. Keeping things quiet and at that the status quo would be an excellent strategy for maintaining a calm household growing up. Just take a few minutes to step back and look at your situation to have a deeper understanding of your current habit you wish to transform. Now actually thank yourself for taking on this pattern. If you consider the example, thank yourself for resisting change, for wanting to keep things calm and stable by maintaining the status quo. Thank yourself for holding onto this pattern so faithfully all these years. Feel how different this is from trying to yank out, excavate and rip out old habits and patterns. Feel how different this is from blaming yourself for not changing before this. This method gives you permission to view yourself and others with compassion and validation. 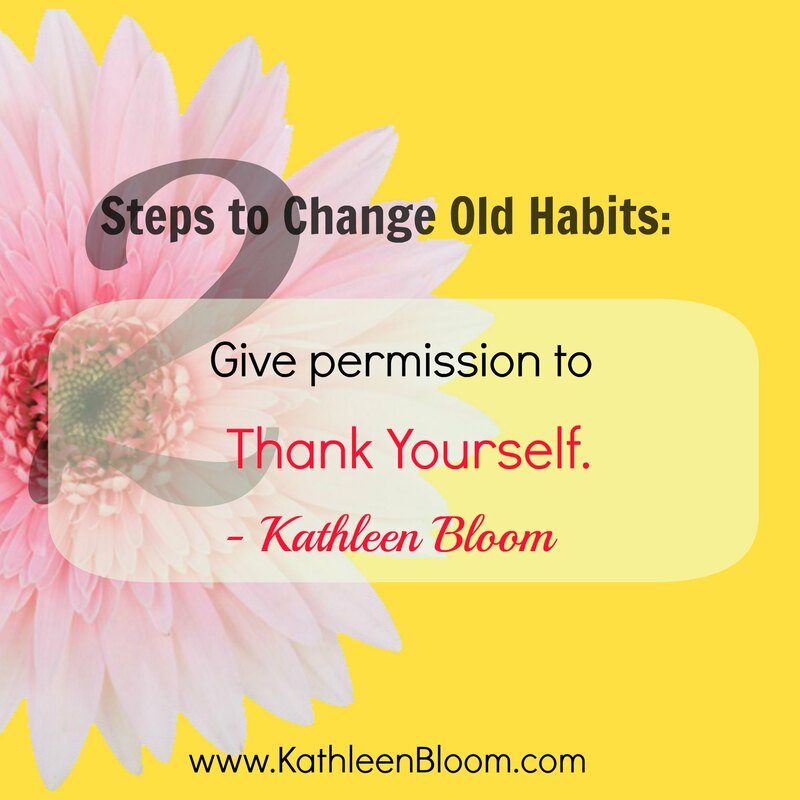 After you have said “hello” acknowledging your habit you want to change and thanked yourself for initially taking on this habit because it served you well many years ago, now is the time to release it. Give yourself permission to let it go so you can move forward. For each of these steps, actually say it out loud. It might sound like this. Picture yourself letting go of this habit. There will be times when you feel the resistance to change. When that happens, acknowledge it, thank it again for helping you in the past and gently but firmly give yourself permission to let go of it and move forward. 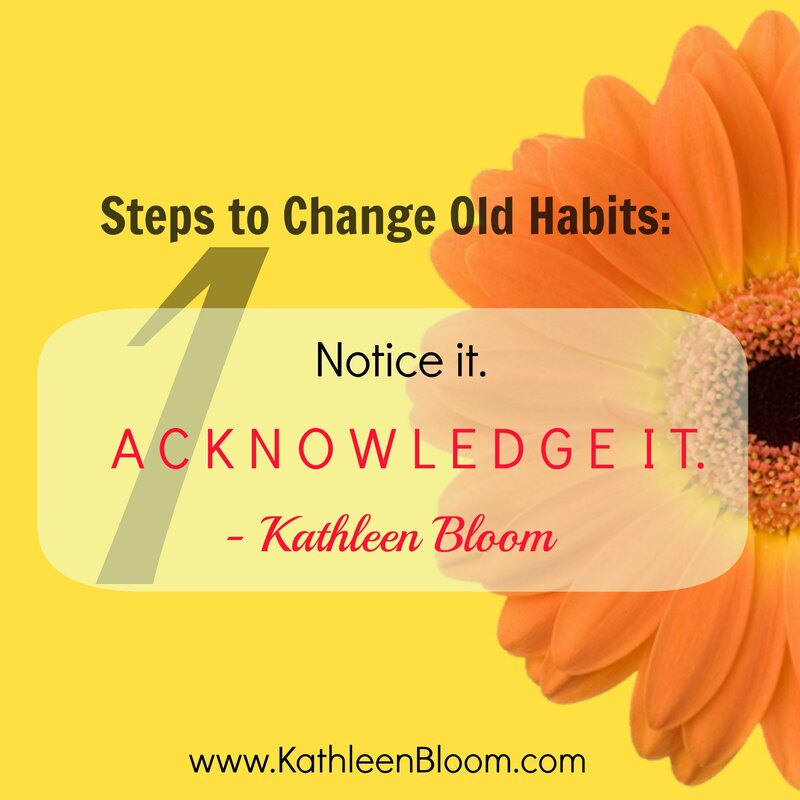 An important part of changing an old habit is to take an action in the new direction you seek. So if the pattern of resisting change is what you are releasing, the new habit would be trying something new – something that might make you feel slightly uncomfortable as you move out of your comfort zone. That is an excellent way to re-pattern your behavior and habits. 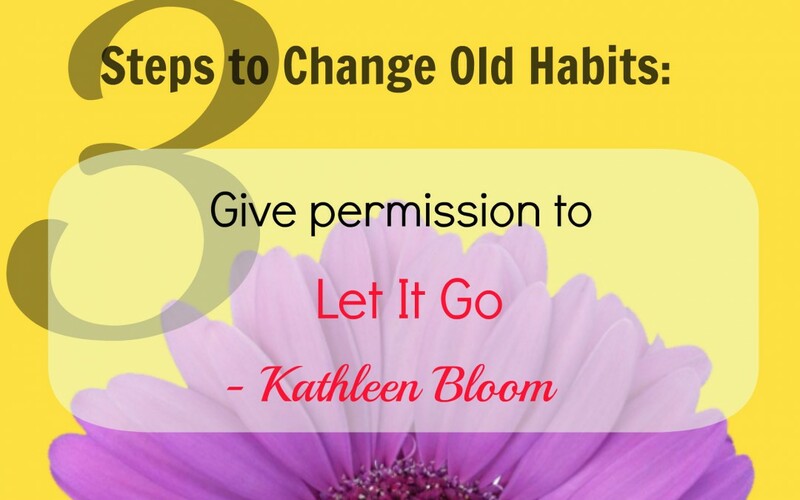 Try this today – there are always old habits, beliefs, patterns and thinking we can release.